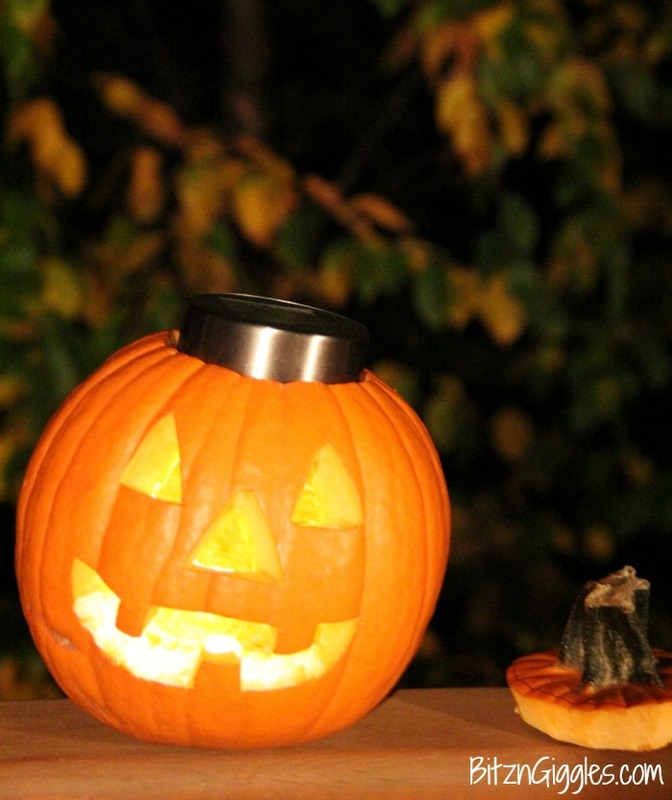 If you’re looking to avoid open flames on your porch, check out this solar light jack o’lantern, featured on Bitz & Giggles. Here’s a quick Ghost Mason Jar Centerpiece from That’s What Che Said; there are also seven more black and white Halloween projects linked to this post. If you’re trying to decorate on a budget, these book page paper pumpkins from The Domestic Heart are an inexpensive way to go, and since they’re a little less Halloween-y, these would work as part of Thanksgiving table-scaping too. This pumpkin candy dish from McCall Manor is super-cute. I like the idea of making one with silver or gold spray paint. 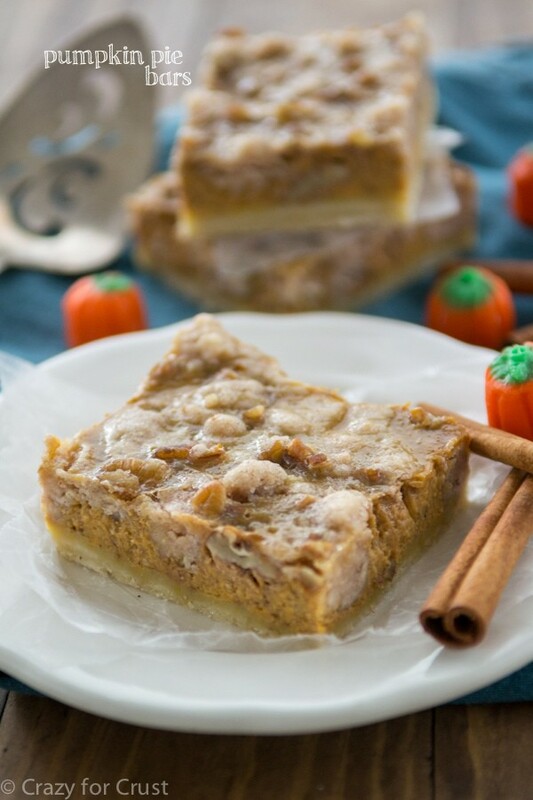 And since making all those crafts is going to work up an appetite, how about these mouth-watering pumpkin pie bars from Crazy for Crust?